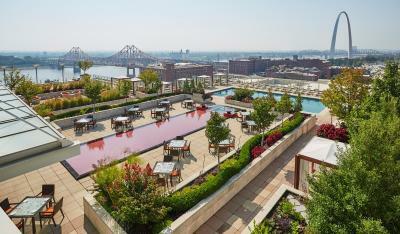 Lock in a great price for Four Seasons St. Louis – rated 9 by recent guests! 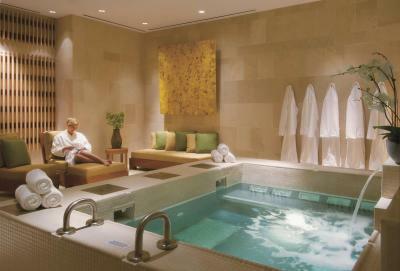 Liked the relaxation at the spa and ambience in hotel. My daughter and I stayed here and it was perfect. 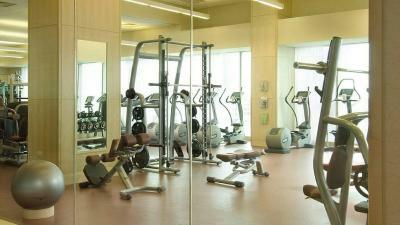 The staff, the facilities, the food. The pool! Heated to the perfect temperature. We actually didn’t leave the hotel our entire stay. We had all meals at the Cinder house and every meal was delicious. Love this hotel and will be back!!! The room service staff was always exceptionally friendly. The food was incredible. Fries were perfect. The club sandwich was delicious. Oatmeal with fruit was so good!! And the black coffee was rich and smooth. 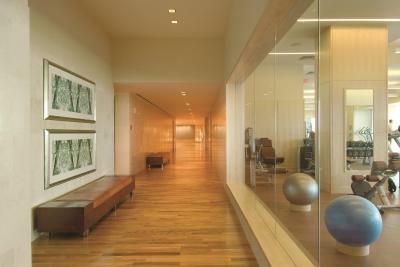 The hallways are clean and quiet. 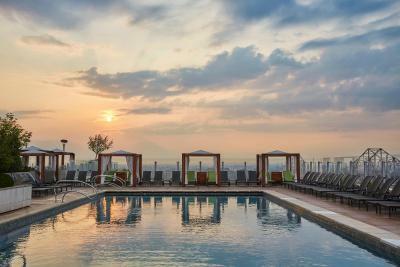 The rooftop pool was warm enough to swim in during the 50 degree day and the hot tub was fantastic ! We had several staffing members congratulate us on our wedding/honeymoon. We were greeted by name several times. And the room view looked great at night. Bed was COMPLETE memory foam. All rooms come with a huge tub and a walk in shower. Best hotel for the price. Made for an amazing Valentine’s Day weekend. Beds were comfy. Love the rooms and bath stuff they give. Our stay was absolutely amazing. The staff was very friendly and accommodating. They even surprised our children with a gift upon arrival, as well as a personalized welcoming gift in our room. The rooms were very clean and the beds were nice and comfortable. We were treated exceptionally well and we will definitely return soon. The pool had great views and was heated to the perfect temperature. I liked the birthday strawberries and their speedy deliver to my daughter's room for her sweet 16. 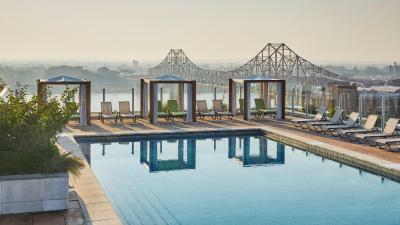 Four Seasons St. Louis This rating is a reflection of how the property compares to the industry standard when it comes to price, facilities and services available. It's based on a self-evaluation by the property. Use this rating to help choose your stay! 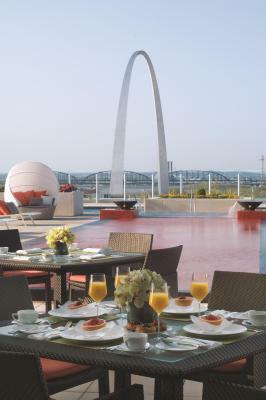 One of our top picks in Saint Louis.Featuring an on-site restaurant and full service spa, this luxury hotel features city or Gateway Arch views from every spacious room. 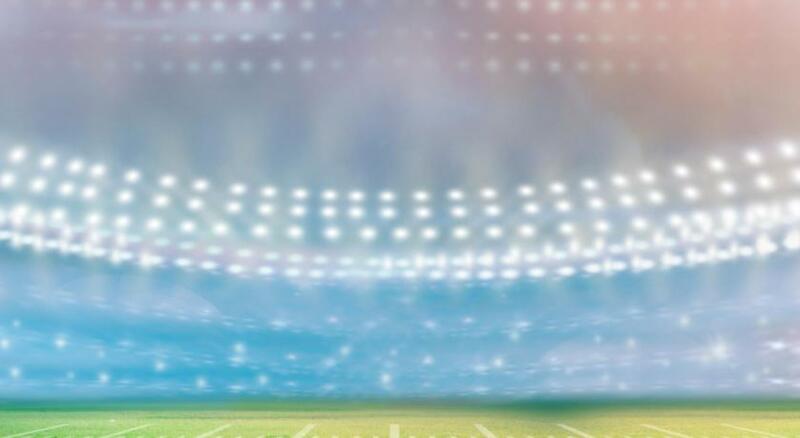 Edward Jones Dome, home of football's St. Louis Rams, is a 7 minute walk away. 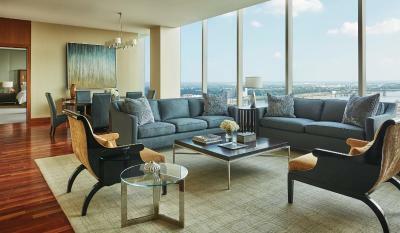 A flat-screen TV and minibar are offered in every room at Four Seasons St. Louis. 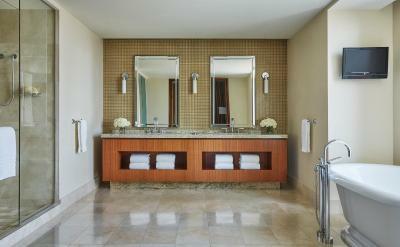 Guests can relax in the deep soak tub included in the marble private bathroom. Cielo Restaurant is on site and serves fine Italian cuisine for breakfast, lunch, and dinner. Cielo Bar features cocktails and appetizers that can be enjoyed on the outdoor terrace. 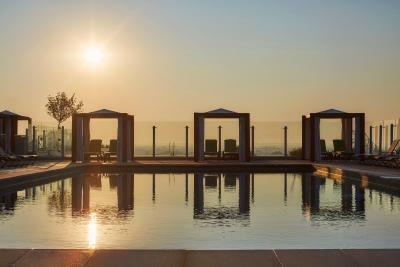 Outdoor and indoor pools are featured at St. Louis Four Seasons. 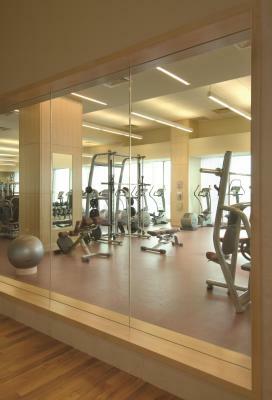 Guests can take advantage of the fully-equipped fitness center and free babysitting services offered on site. The famous Gateway Arch is less than one mile from this hotel. The Lambert – St. Louis International Airport can be reached in a 19 minute drive. 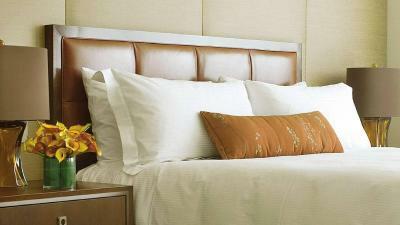 When would you like to stay at Four Seasons St. Louis? 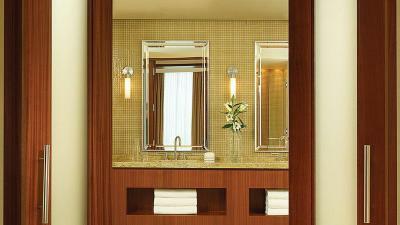 With a city view, this room has a flat-screen TV and a marble bathroom with luxurious amenities. Private parking is available on site (reservation is not possible) and costs USD 40 per day. 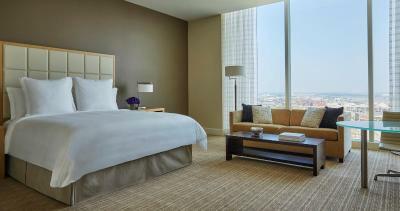 With a city view, this spacious room has a flat-screen TV and a marble bathroom with luxurious amenities. 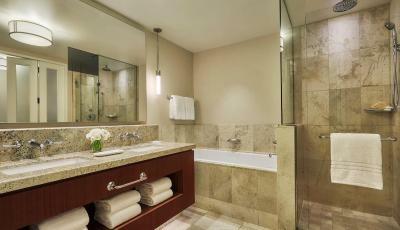 With a city view, this accessible room has a flat-screen TV and a marble bathroom with luxurious amenities. A roll-in shower is also furnished. 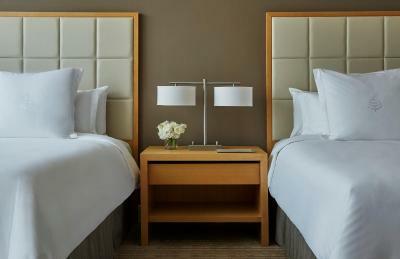 With a city view, this spacious, accessible room has a flat-screen TV and a marble bathroom with luxurious amenities. A roll-in shower is also furnished. With a view of the arch, this room has a flat-screen TV and a marble bathroom with luxurious amenities. With a view of the Arch, this spacious room has a flat-screen TV and a marble bathroom with luxurious amenities. On an upper floor and featuring a view of the Arch, this room also has a flat-screen TV and marble bathroom with luxurious amenities. 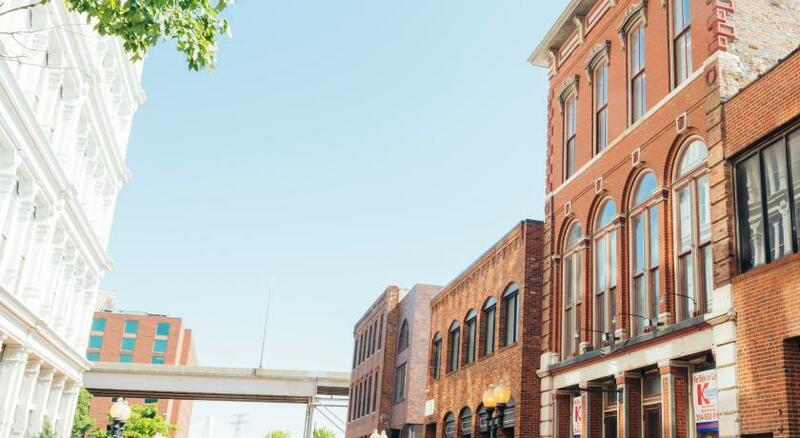 On an upper floor and featuring a view of the Arch, this accessible room also has a flat-screen TV and marble bathroom with luxurious amenities. A roll-in shower is also furnished. 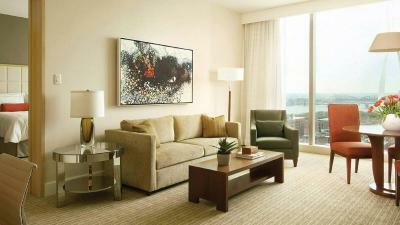 With views of the Arch, this large suite has a separate living area with a flat-screen TV and sofa bed. With views of the Arch, this large, accessible suite has a separate living area with a flat-screen TV and sofa bed. A roll-in shower is also furnished. 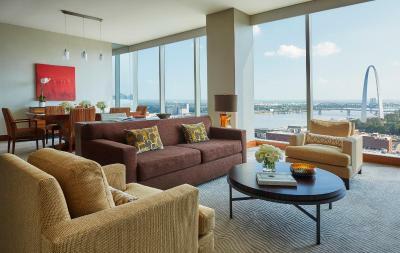 With views of the Arch and city, this large suite has a separate living area with a flat-screen TV and 2 marble bathrooms. 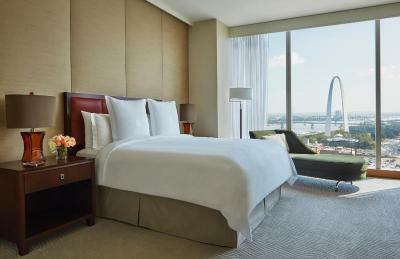 With a city view, this accessible room has a flat-screen TV and a marble bathroom with luxurious amenities. 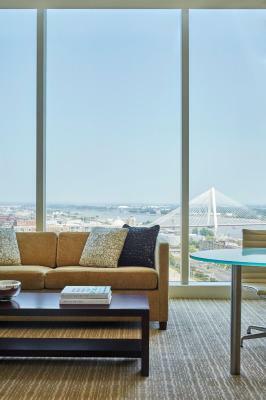 With views of the Arch, this large, accessible suite has a separate living area with a flat-screen TV and sofa bed. 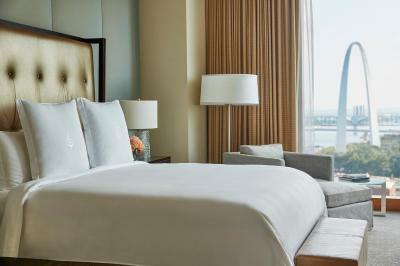 Featuring a view of the river, this spacious room has a flat-screen TV and a marble bathroom with luxurious amenities. Hotel surroundings – This neighborhood is a great choice for travelers interested in sports, monuments and sightseeing – Check location Great location - show map Guests loved walking around the neighborhood! House Rules Four Seasons St. Louis takes special requests – add in the next step! 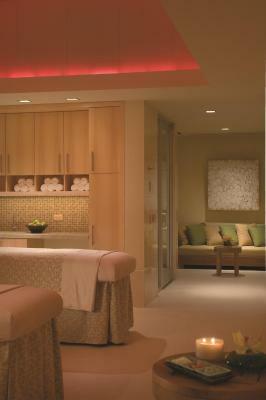 Four Seasons St. Louis accepts these cards and reserves the right to temporarily hold an amount prior to arrival. Room had dirty q tips, no slippers for one of us so I had request more, broken handle on safe, spa attendants were no where to be found and spa needed attention in many areas. We forgot contact solution and hotel didn’t have any, and didn’t offer a place to purchase any. This was our second time to stay here. The first time we were wowed. This time the hotel felt dirtier and staff not as friendly. For the price paid and the experience we encountered during our 24 hour stay, I don’t know that we will stay here again. Only concern would be to list the fact that the oatmeal for the room service comes with a bowl of nuts. I do have a severe allergy and would have not had that near my food on delivery from the beginning had I known. I think it would be helpful for future guests to know exactly what is included. There was a really loud odd sound coming from the bath tub right where it was at optimal temperature. I recorded it. The bath tubs take unusually long to fill up so to listen to that sound for 25 minutes was maddening. Also the sprayer on bathtub didnt work ...and we could not get into the mini fridge. I just wanted to cram my daughters chocolate milk in there, but if I wanted that 6.00$ snickers I couldn't have gotten it anyway. I also didnt really like the new restaurant but usually love everything gerard craft. The lighting in the room was something we all mentioned. It seem extremely dim, but it wasn't a "problem" for us. Just something we noticed. The staff at the front desk seemed a bit detached from the hotel. 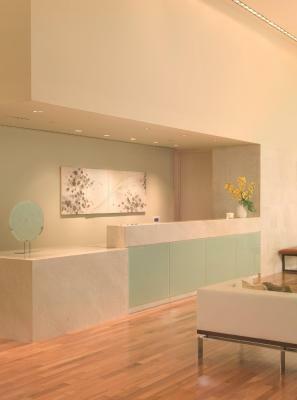 Once you left the front desk though everything was very good. The common areas of the hotel were kept quite cool. Bring a sweater. Service was ok for the Four Seasons. We were presented with an incorrect bill at checkout which was shocking given the caliber of the hotel. Overall, my least favorite Four Seasons I've ever stayed at.